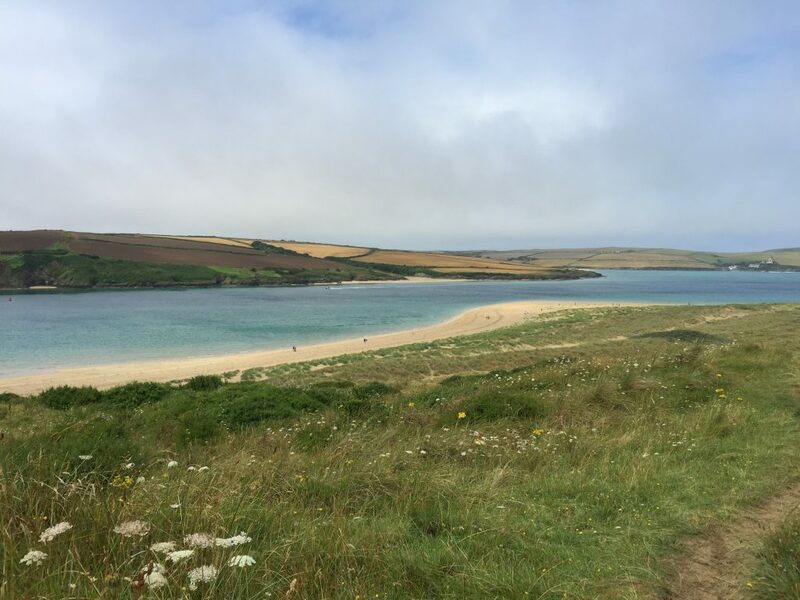 Here in the second blog on the South West Coast Path, Richard Langley recounts his journey westwards across the rugged North Cornwall coast from Hartland to St Ives. Before I left Hartland I had a day’s rest whilst camping at the farm in Stoke which was one of the best sites on the whole route. The Church, the Gardens and Studio Potters with their exhibitions, made this a memorable day with so much to see and enjoy. It was just what I needed before I set off on the next stage. 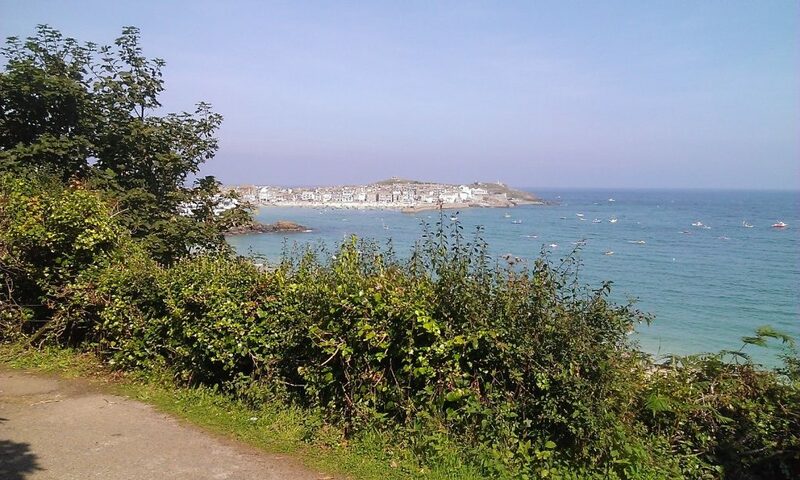 I mistakenly thought that the section from Minehead to Hartland would be as hard as it got, with the oncoming trek to St Ives getting easier. I was wrong! 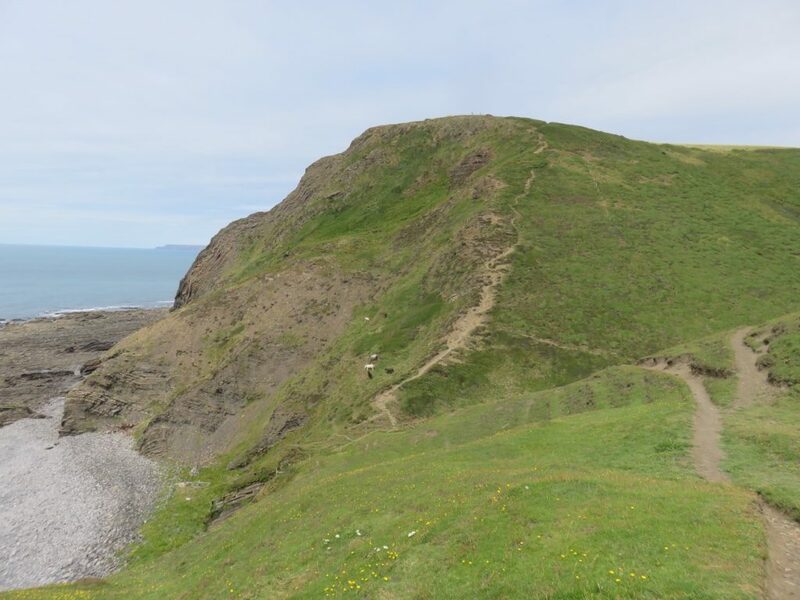 The section from Hartland to Bude was the most difficult of all. I suffered badly from blisters and severe thigh cramps and I only just made it. 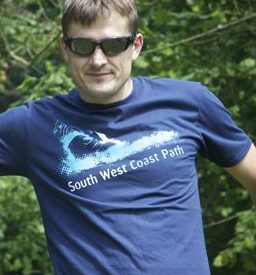 The section was gruelling to say the least: 15 plus miles and over 4000 ft of ascent, the most steep and severe climbs and declines you could imagine. Just making it to Bude it was so incredibly amazing, then relaxingly pleasing to find a bus to return back to the campsite at Hartland. How strange it is, that once the blister pains go, the thigh cramps come on, you just go on and walk through it until the next pain comes, it seems that the mind can only think of and overcome one pain at a time. The bus, the following morning got me back to Bude and from there the walk took me to Crackington, another 12 miles and 2500 ft of ascent, this was difficult too, particularly at the end with a very steep decline into Crackington. There was no plan for a stay but on coming off the top above Crackington there was a campsite to be seen, and a bus stop plus a great pub for a few pints and a meal. The campsite was one that opened for August only and had limited facilities, this would become the base for another two days with the bus enabling return to the campsite for two more nights, meaning walking without the 25 kg pack for a couple of days! 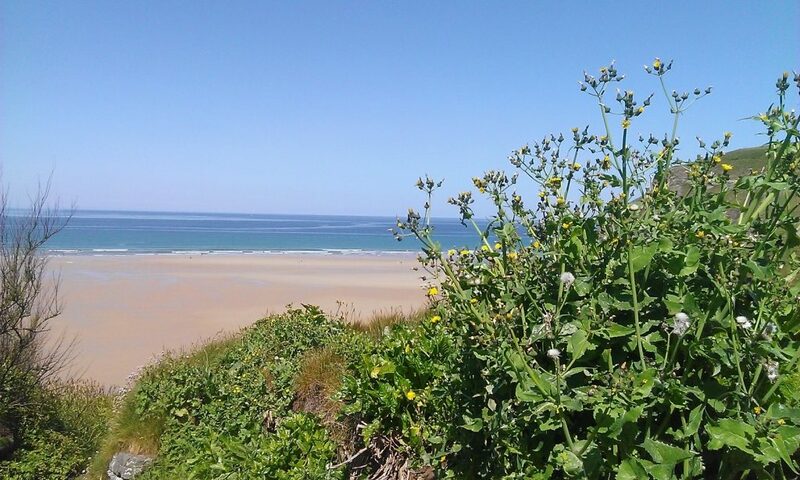 Highlights along the way were the wild flowers, sparrow hawks, peregrines and many butterflies including numerous painted ladies, the complex geology and rockstratas etched out by the Atlantic being particularly evident around Hartland Point. 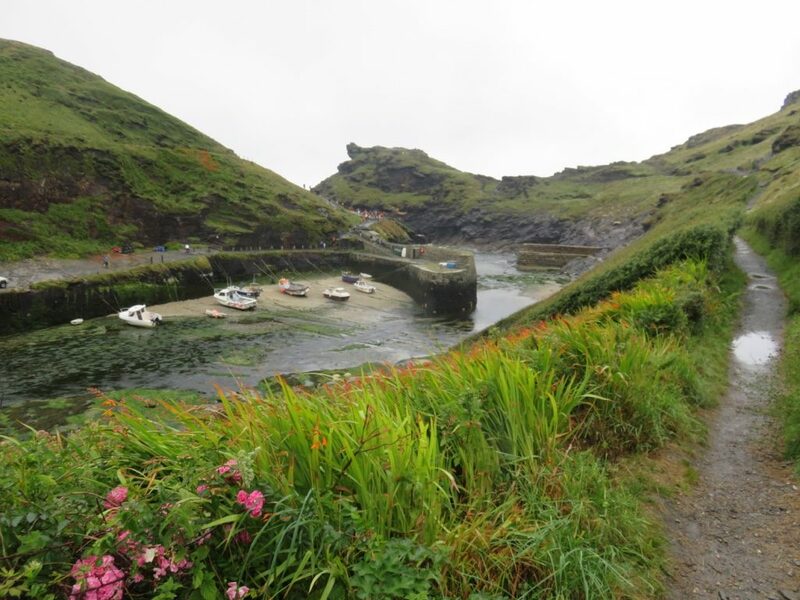 The weather was about to change for the section from Crackington to Tintagel when the mists came in, until then it was clear and a great walk as far as Boscastle, there I had a refreshing cup of Earl Grey in the National Trust cafe. Then down came the mists without warning. 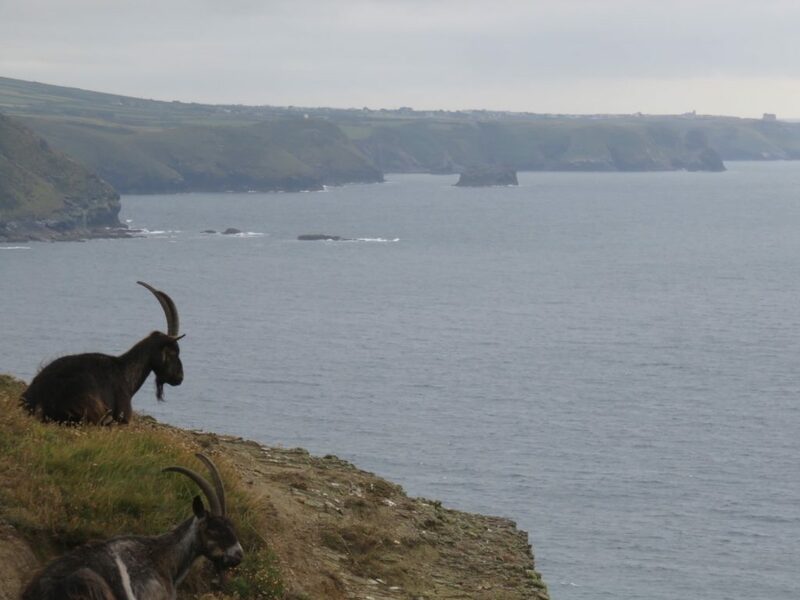 Approaching Tintagel however the sight of the castle swathed in mist one minute and then clear for a moment increased awareness and a sense of history associated with this spectacular part of our heritage. 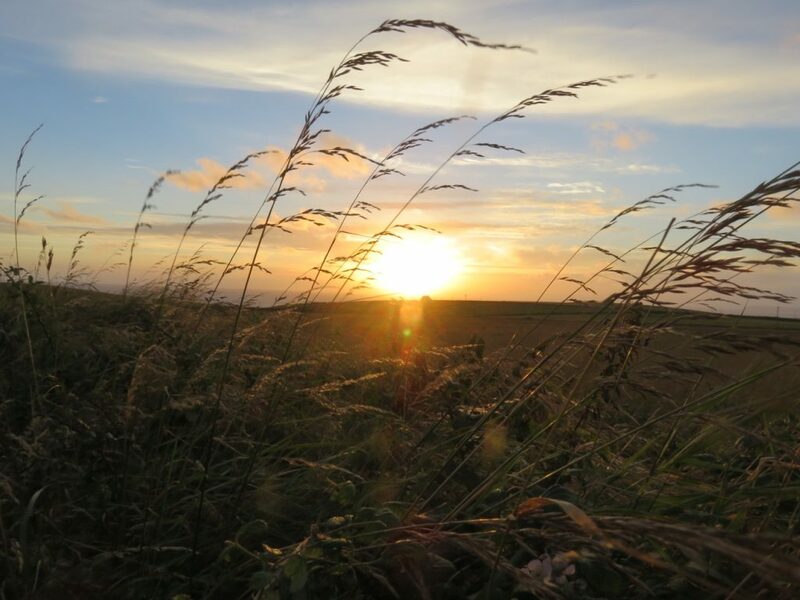 Back by bus to Crackington and an amazing sunset as the weather cleared then, next morning back by bus again to Tintagel for the walk onto Port Isaac, this time with a full 25kg back pack again. it was a severe and hard walk with almost 3000 ft of ascent. 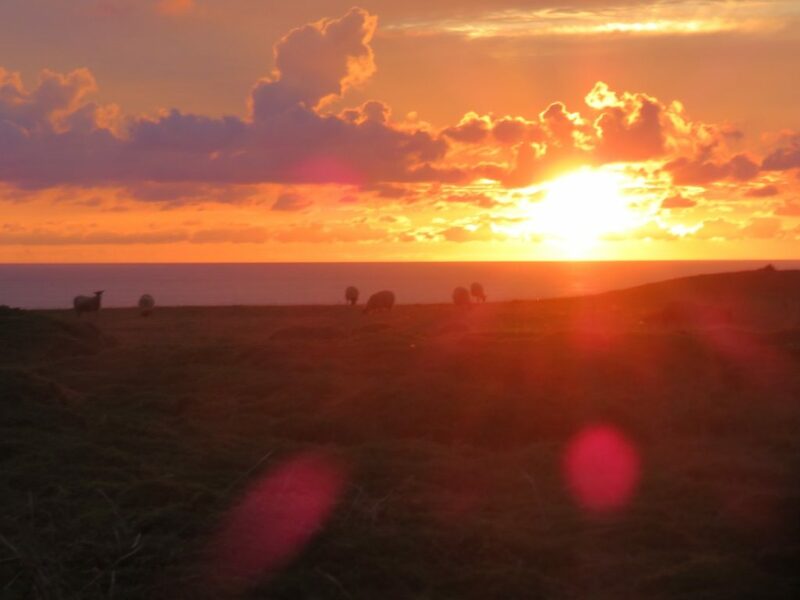 Once in Port Isaac the nearest campsite was up on the hill. “Only a short walk” said someone I asked but it must have been at least two miles and a very steep walk. 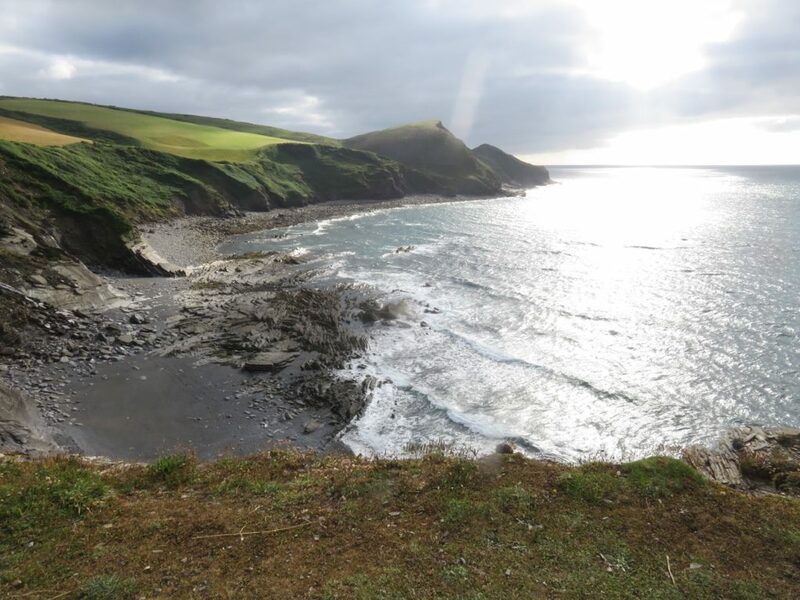 It was the most wonderful feeling to meet my daughter Ruth and family and to have a great supper in Port Isaac, I was grateful for the lift they gave me back up to the campsite. The campsite apparently played host to many of the actors deployed for the Doc Martin series, since then this series has been unmissable for me. 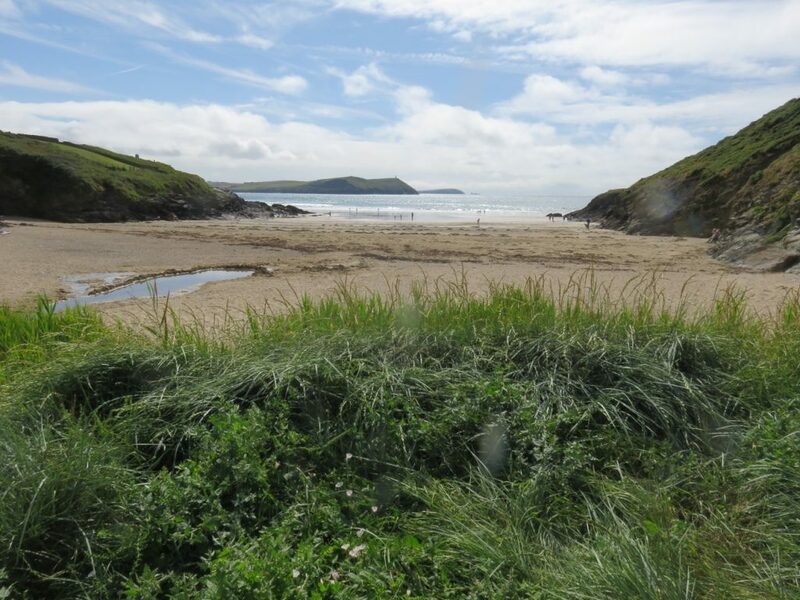 Next day on again to Padstow and a much easier walk with the weather turning sunny again, great to meet Ruth and family again at Trevone Bay beach beyond Padstow. 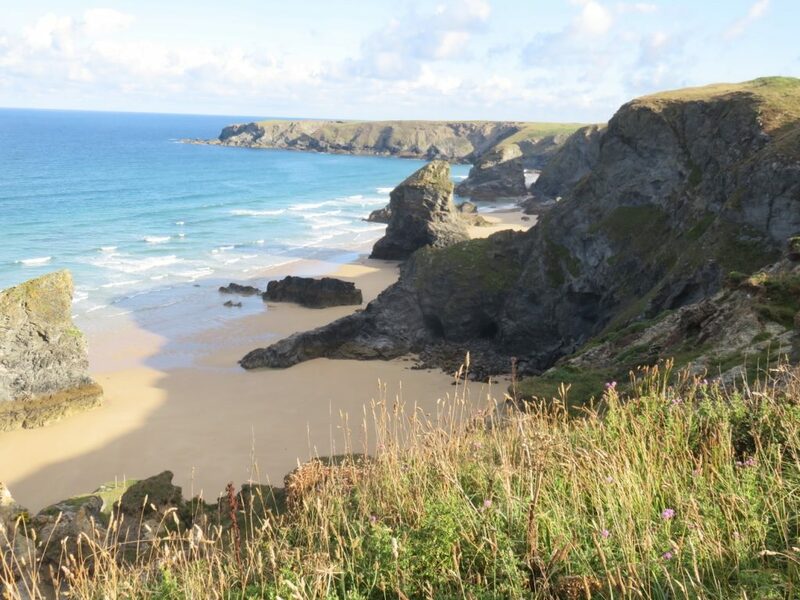 The next objective was to reach Bedruthan before dark. There was an “August ” campsite high up above the beach. Once again there was the most fabulous sunset. pathway and feature in many iconic pictures of Cornwall. These were amazing stacks. What a privilege to be here, I thought . 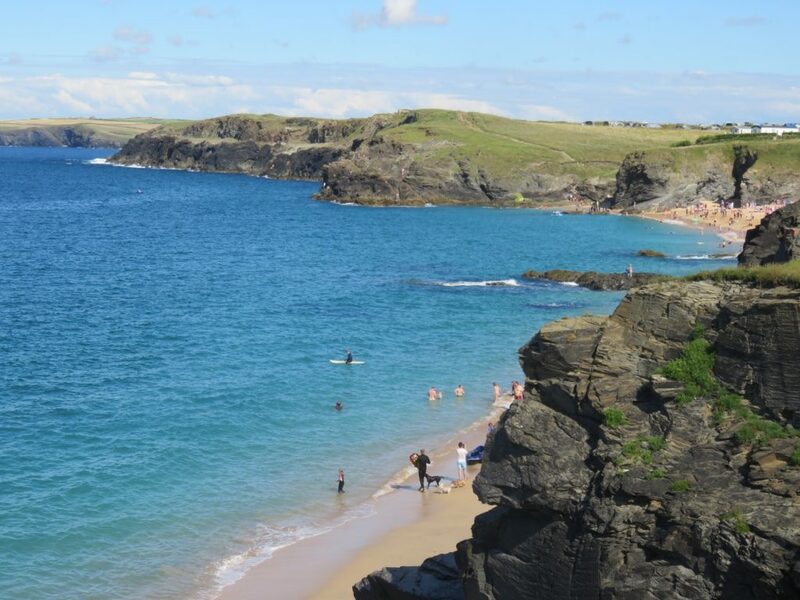 It was now a fairly easy walk into Newquay. 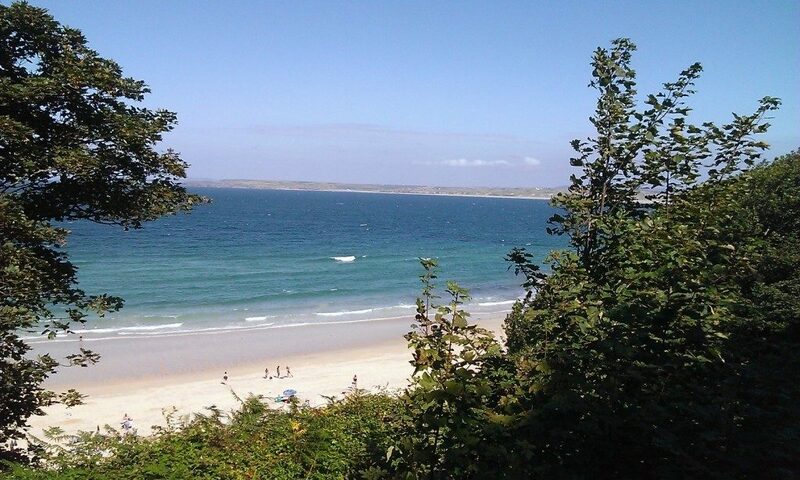 With a very clear view from the tops, you could see on towards Hayle and St Ives bay. 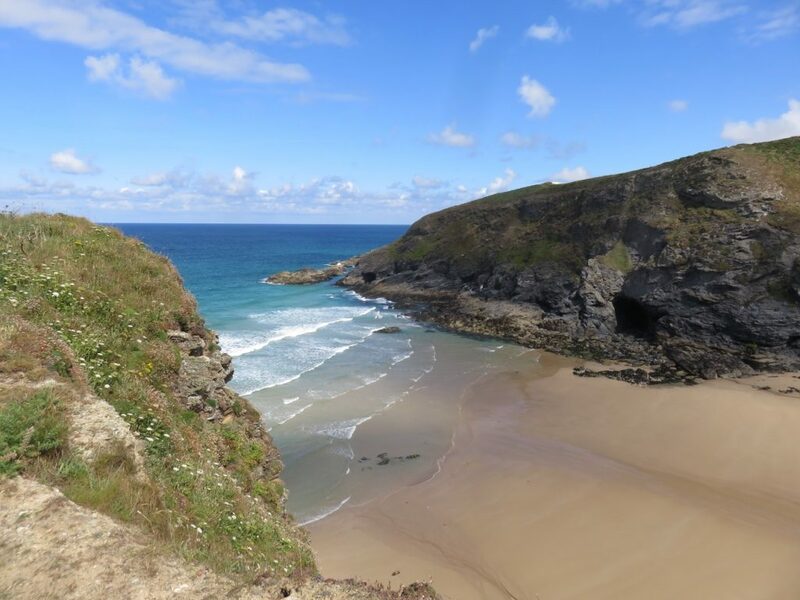 It was an extremely wet next couple of days, fortunately the camp site at Perranporth was in a spot sheltered from the wind and I got a good pitch under a big oak tree. 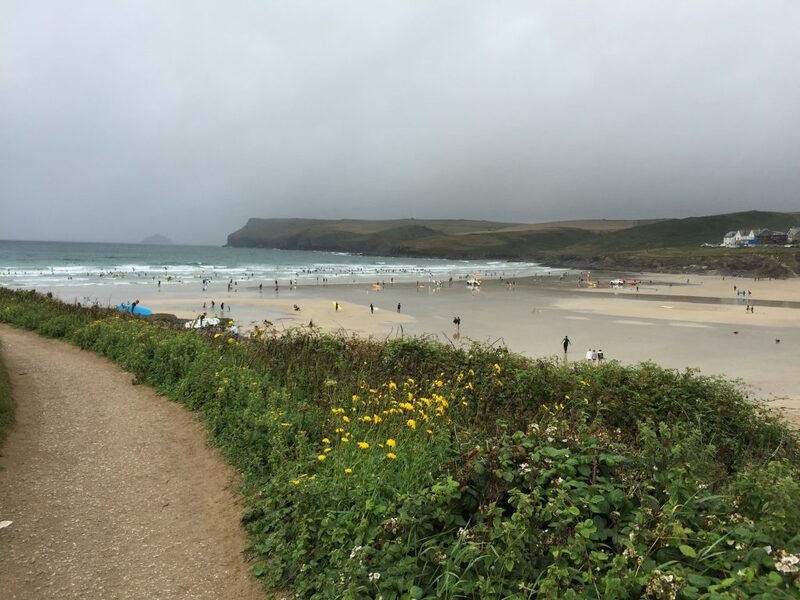 The following day was dark and windy so I got the bus and walked from Portreath back to Perranporth coming back through St Agnes. It would have been impossible to walk into the monsoon-like rain so the bus came in very handy. 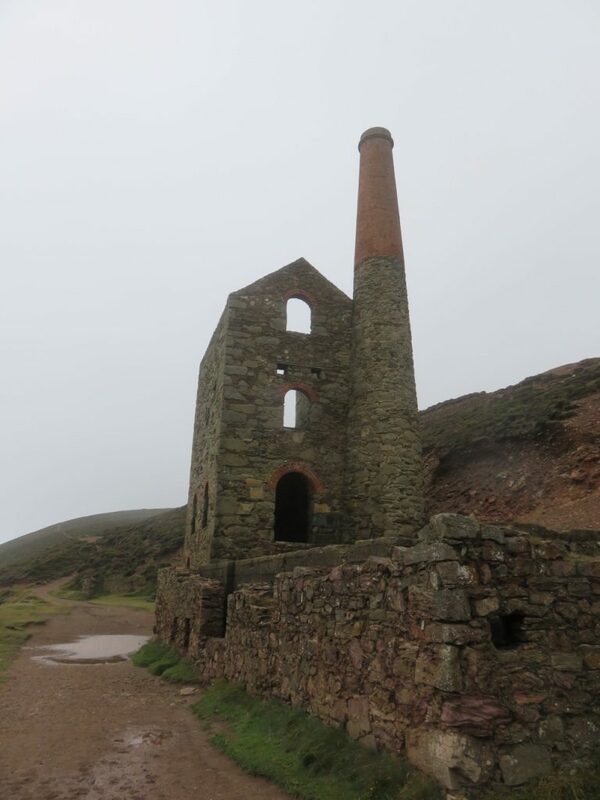 The bleak cliffs with evidence of Cornwall’s mining heritage, the derelict engine houses and searing chimney stacks disappearing into the cloud made this a magnificent yet forboding section of the walk. After a couple of days the weather cleared leaving the dodder on gorse and cob webs laden with rain drops. 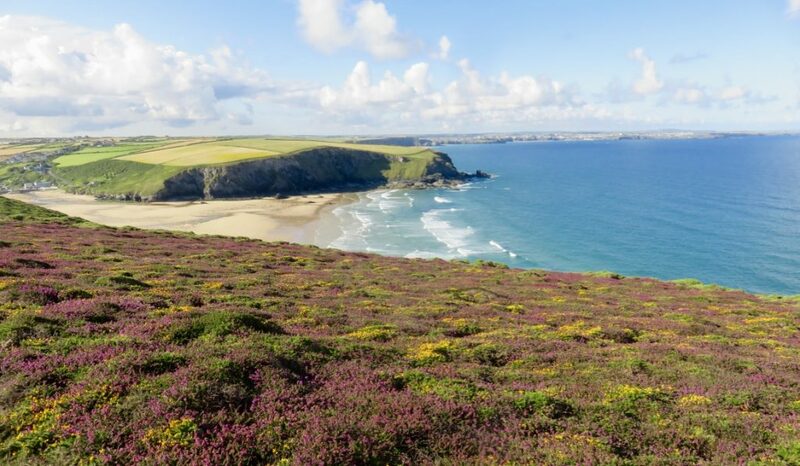 This together with the blooming heather gave a glittering path way on towards St Ives. 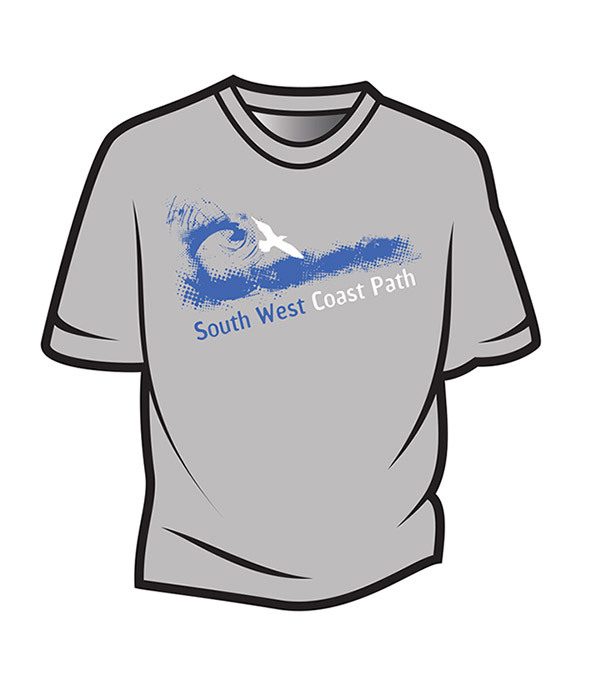 Discover our South West Coast Path range of T shirts Sweatshirts and hoodies here .